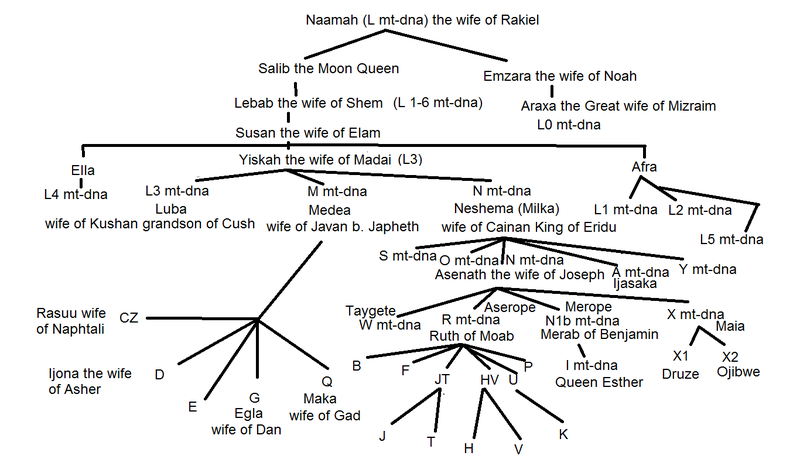 This is the y-dna of the biological descendants of the Israelites (physical male -line descent from Abraham, Isaac and Jacob) which is different from the y-dna of those who are classified as Jews or Israelites for religious-ethnic purposes. 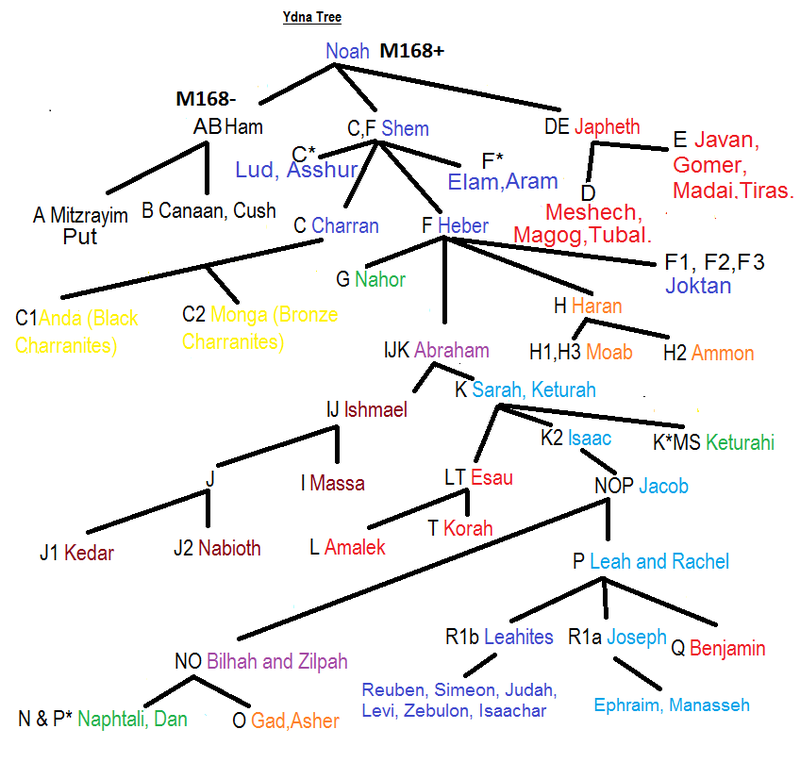 Religious-ethnic Israelites (Jews) and their descendants belong to many diverse y-dna haplogroups. Today's biological descendants from the Patriarchs of the Hebrews are of many diverse racial types, religions and ethnic communities. 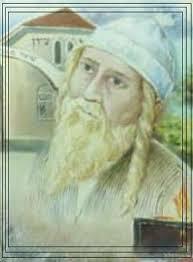 Today less than 20 percent of Jews are male line descendants of the Patriarch Judah. The Judaites are found in greatest numbers among the Sephardi Jews (30-40%), the Dutch Jews (over 50%), French Jews, Iraqi Jews (25%) and British Jews. Judaites among the Ashkenazi Jews are 10-15 %. The Ashkenazi Jews from their Khazar origins are 15-20% from the Lost Tribes of Manesseh and Ephraim (Josephite). The large amount of J in Jewish communities comes from converted Arab and Samaritan sources. 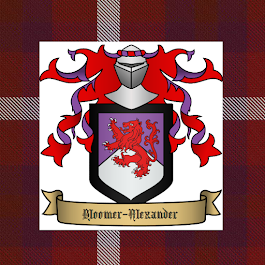 The peoples that are the most strongly Judaic but non-Jewish are the nations of Western Europe. 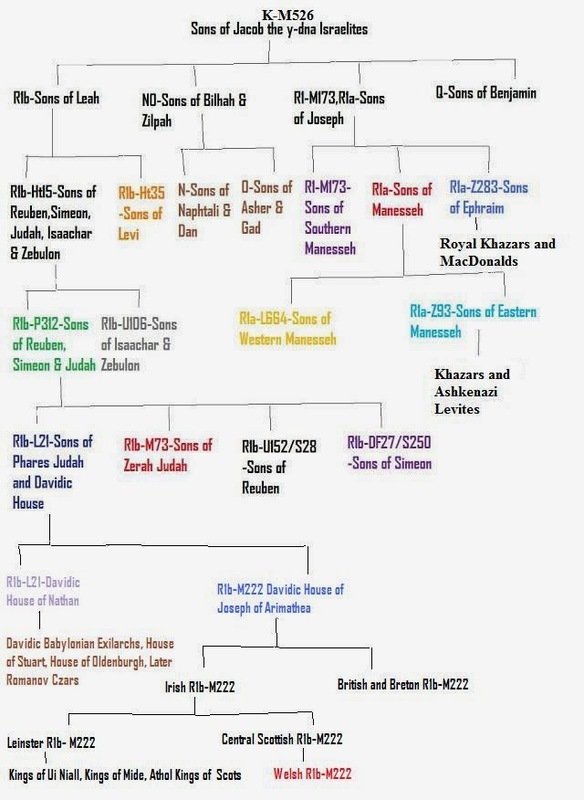 All those who are of R1-M153, R1b, R1a, N, O and Q y-dna lineage are biological descendants of Jacob (Israel) but not necessarily Jewish or Israelite by Halakah.